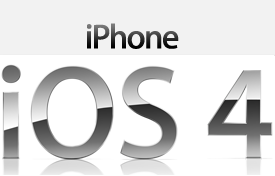 If you have just bought the recently launched Apple iPhone 4 and if you are confused on where to insert the micro Sim Card which sizes 15 mm × 12 mm then we will quickly guide you on this so that you can simply insert the sim card by following a simple and short procedure. Before we proceed to the procedure all you will be requiring in the due course of the procedure to insert Sim Card is a paper pin, micro sim and also of course iPhone. So are you ready for the procedure? Let’s get started. 1. First, you need to hold i phone in your hand and insert a straightened pin in the hole shown below. Now, insert the pin into the above mentioned small hole and push it slightly inside until the tray of the phone pops out. Now pull out the Sim card tray with your fingers. 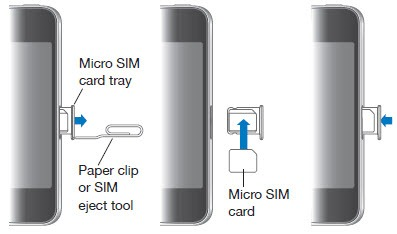 Now, as soon as the tray comes out insert the sim card by following the above mentioned pictorial view and again slightly push the sim tray in till you hear the click sound. Make sure it fits perfectly and the golden circuit side of the micro sim is faced downwards and the flat part on up ward side. After pushing in the tray, all you will have to do is to just wait for your i Phone to recognize the sim and there you go, you have successfully inserted the sim card in your iPhone 4.
what to do when your sim card is too big?